Join us on Wednesday 1st March for the official opening of our new depot at New Barn Farm in Funtington, West Sussex, PO18 9DA. 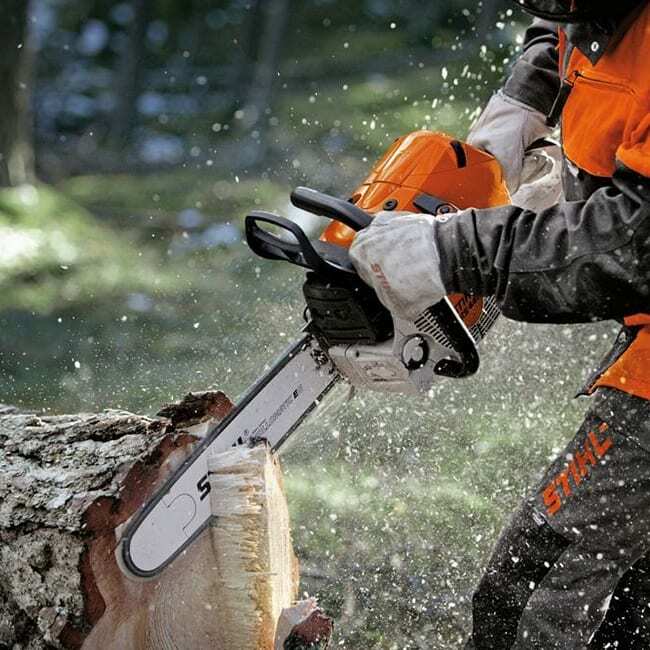 Join us on Wednesday 1st March for the official opening of our new depot at New Barn Farm in Funtington, West Sussex, PO18 9DA. Please join us from Midday until late for drinks and a BBQ. C&O Funtington has now replaced the depot at Midhurst and offers greatly improved facilities, increased workshop space and parts department. 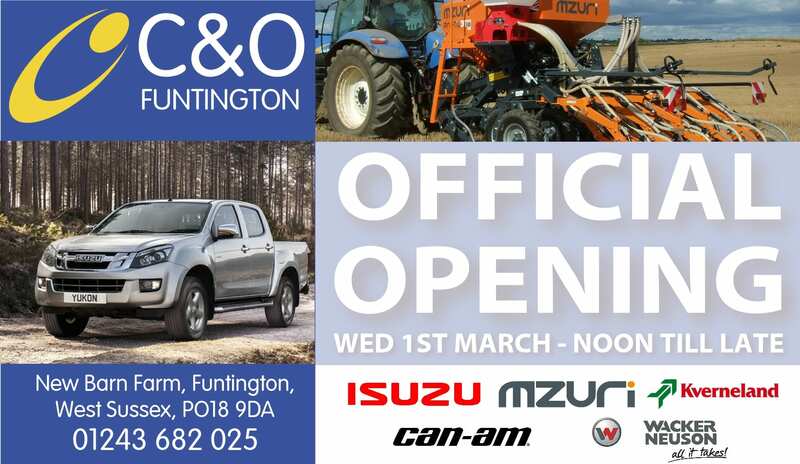 The move to Funtington has also enabled C&O to add new brands to depot, C&O are now agents for Isuzu pick-up trucks, Kverneland agricultural machinery, Wacker Neuson construction machinery, Mzuri agricultural drills and Can-Am utility vehicles. 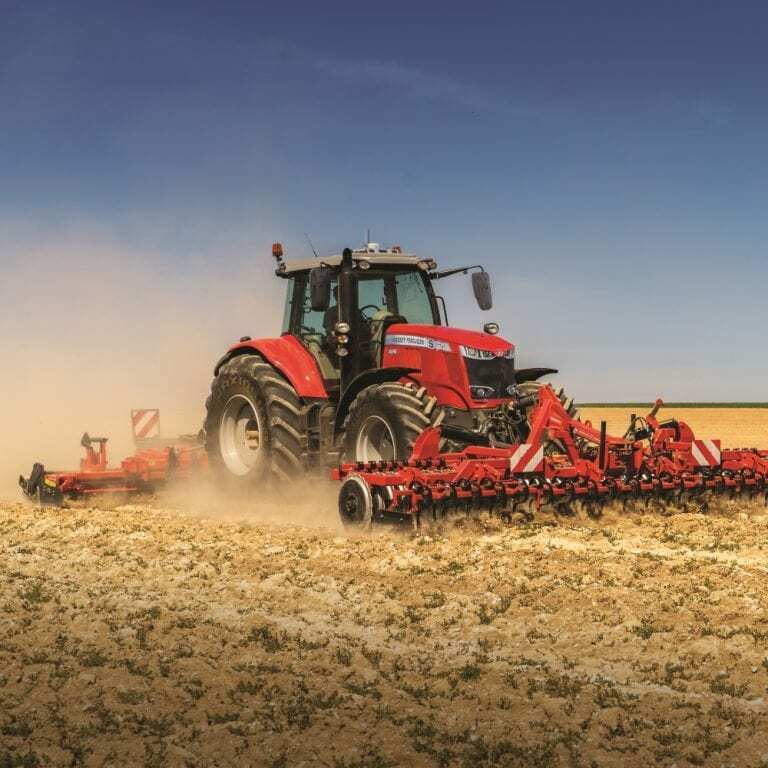 Please come and meet the representatives from these new brands and take a closer look at the impressive range of agricultural, construction and garden machinery we are now able to sell and support. 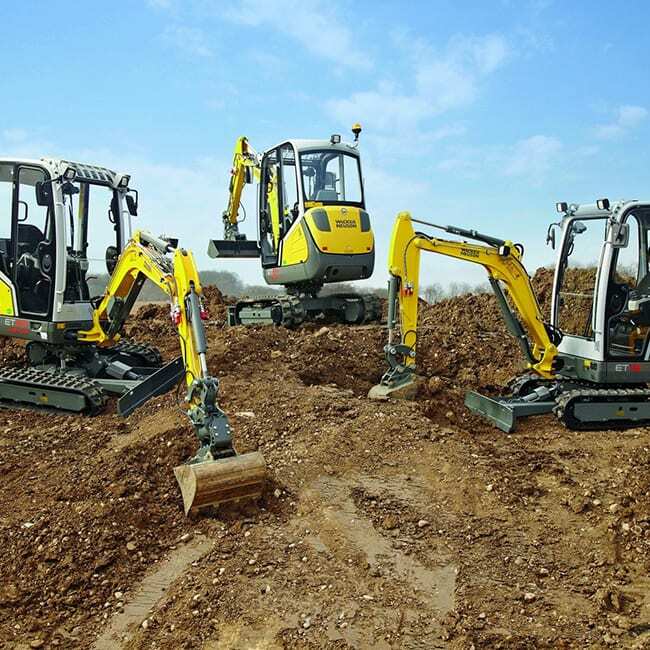 The move to new facilities has enabled us to grow the team at Funtington to include new Area Sales Manager Philip Prior and Aftersales Manager Mick Lyons.